Langkawi’s rainforest is famed for an abundance of flora and fauna, but most of the time we still need a keen eye to spot all those well-camouflaged animals. Lucky for us the resort’s resident naturalist, Irshad Mobarak, was there to impart his knowledge of the island he has called home for more than two decades to us. How many frogs can you find here? 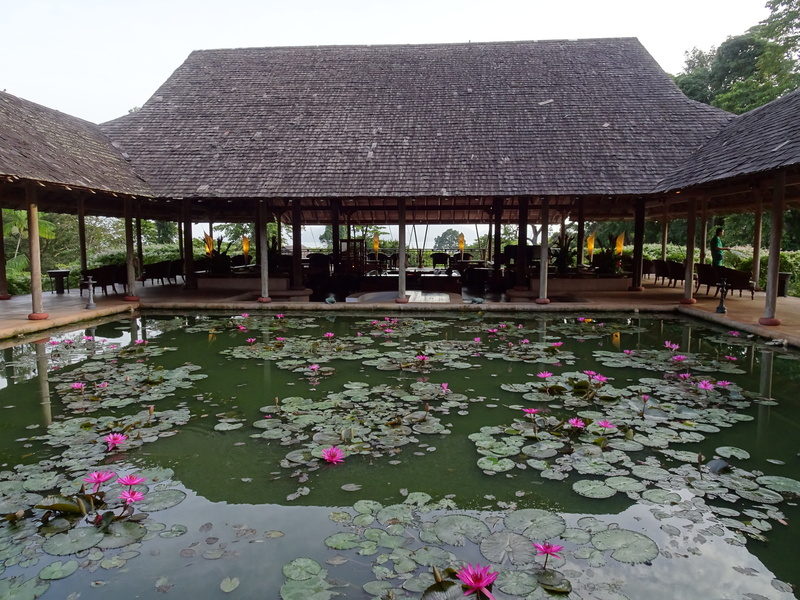 There is a lotus pond at the lobby which I’d passed by the afternoon we checked in. The sun was high and the pink petals of the flowers were all tightly closed. 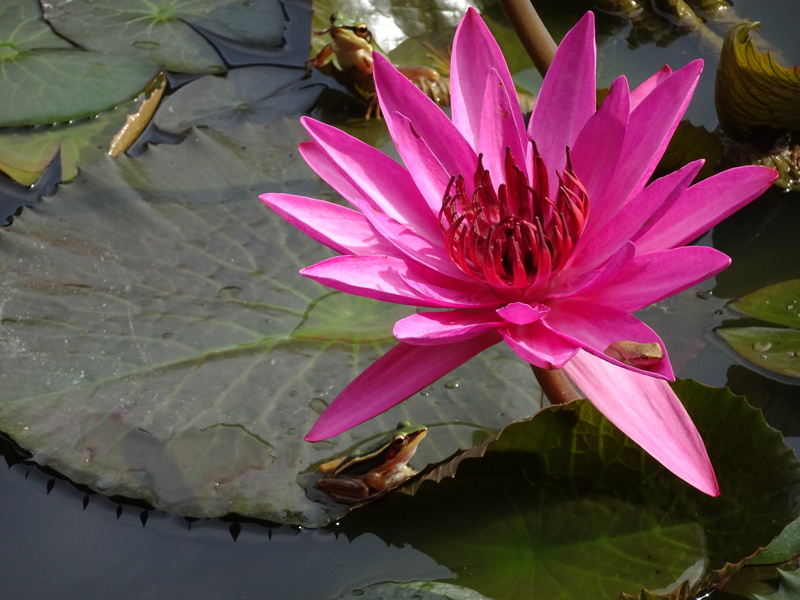 However, when we gathered near the pond again at 8am for Irshad’s morning nature walk, we were delighted to find the blooming blossoms, with stingless bees buzzing from flower to flower while frogs waited patiently around the lotus flowers for their prey. 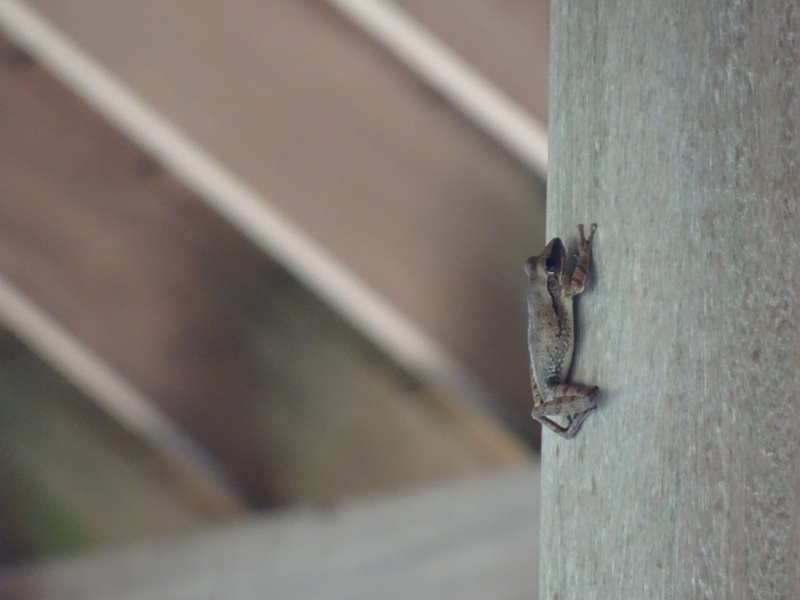 Pay attention to the pillars surrounding the pond and you may find a tree frog or two! “They bloom during the night and gradually close as the sun rises,” said Irshad, who greeted us with a big smile on his face. 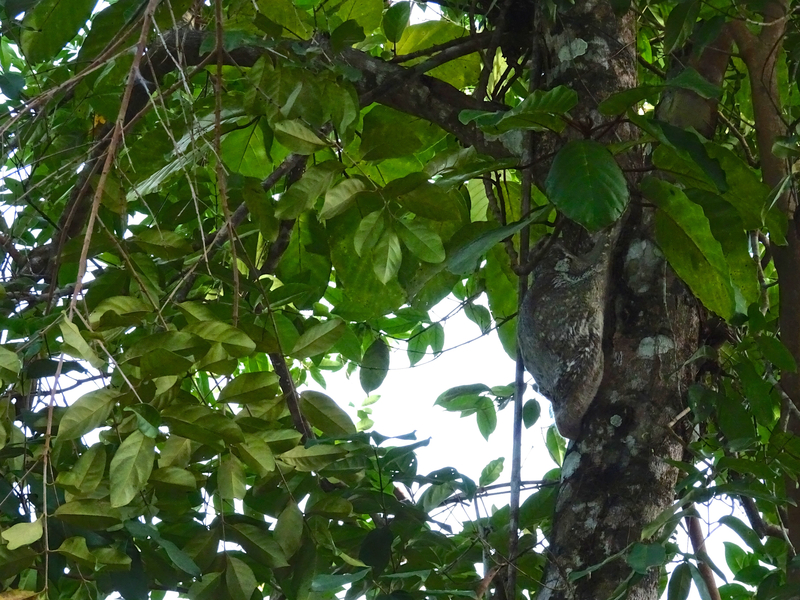 Our tour began with a few amazing tales about the pond and the hundreds of frogs and tree frogs that live there (yes, hundreds), but soon he led us outside to visit the star of Langkawi – drum roll please – the colugo. It was truly a test of good eyesight. At first no one but Irshad knew where to look when he announced we’d found a colugo just outside of the building. But thanks to his description of the tree it was on, we finally saw it – her, according to our guide. Also known as the flying lemur – although they aren’t really lemurs – the colugo is the only primate with the ability to glide, and they are very good at that: they can reach a tree as far as 100 meters away without losing much altitude. Whether it’s actually a primate was much debated, since many had noticed its resemblance to bats, which are the only mammals with true flight, but today it’s been established that it is indeed a primate. 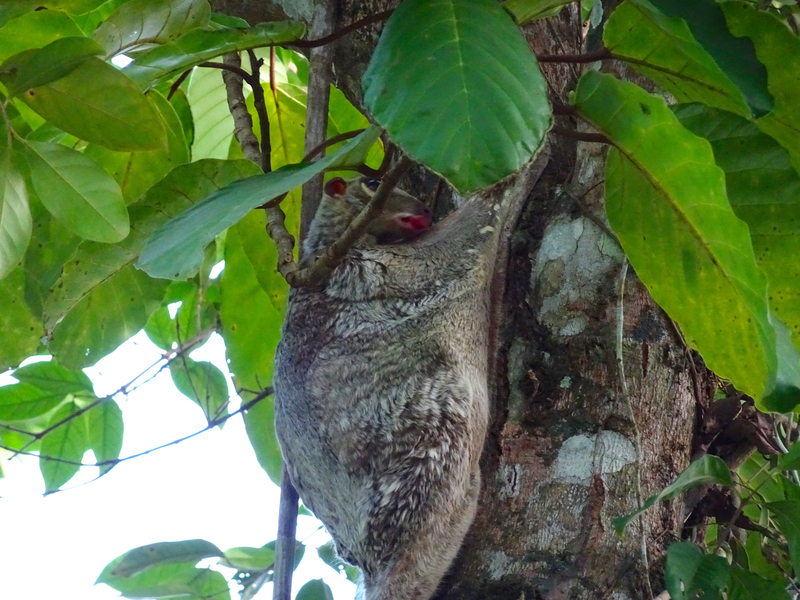 It’s a nocturnal animal, so when we saw her in the morning the colugo was about to go to sleep. The rainforest never sleeps, though. Aside from flying lemurs, there are all kinds of nocturnal creatures, such as owls, bats and flying squirrels. 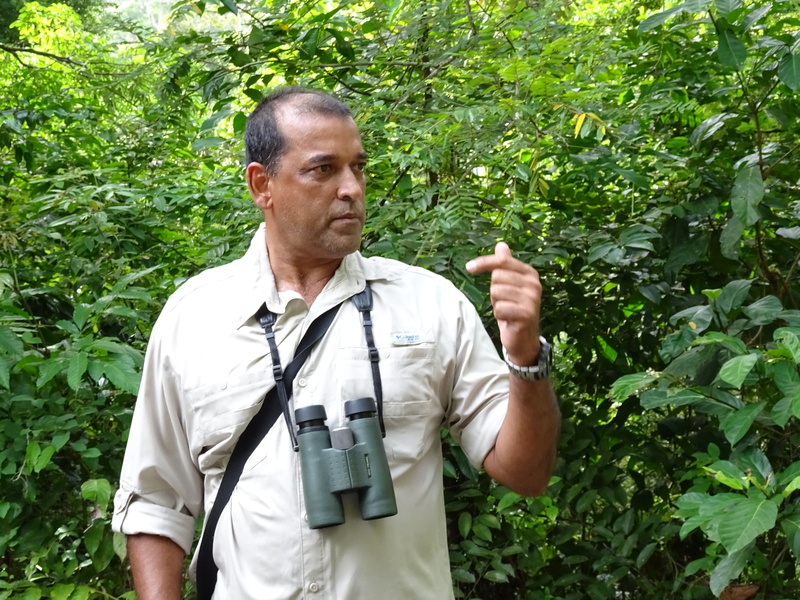 In Irshad’s Rainforest After Dark walk you may have the opportunity to see some of them in action, but as with all wildlife sightings, luck is needed – we didn’t see any flying squirrels gliding through the air the evening we went, but Irshad’s fascinating stories made up for it. I’m sure I wasn’t the only one in the group who was amazed by Irshad’s imitation of birdcalls and his ability to identify birds and cicadas just from the sounds they make. Most intriguing, though, were the stories of animals and plants that he told with such humour. And in telling these captivating tales the conservationist continues to inspire those who care to listen, to see, understand and love our earth. Next time, I’ll share some of the stories he told during our walks in the forest!